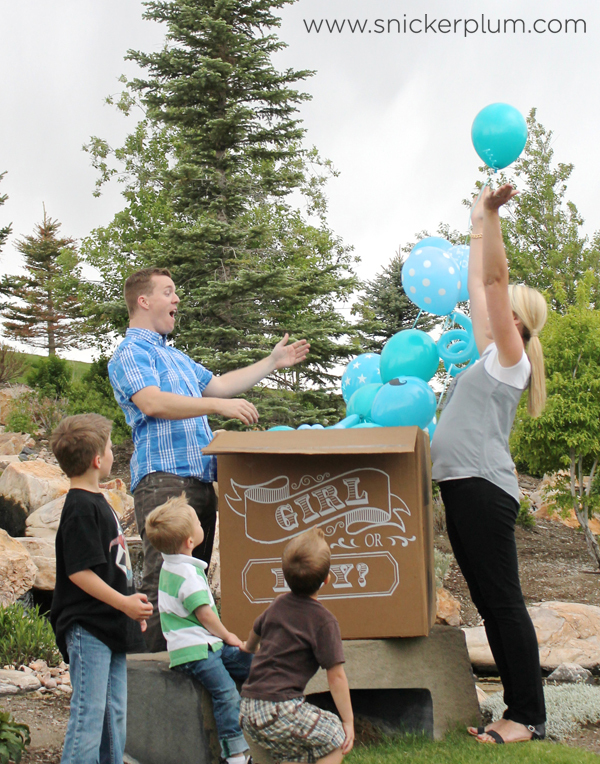 It's a BOY!!!! 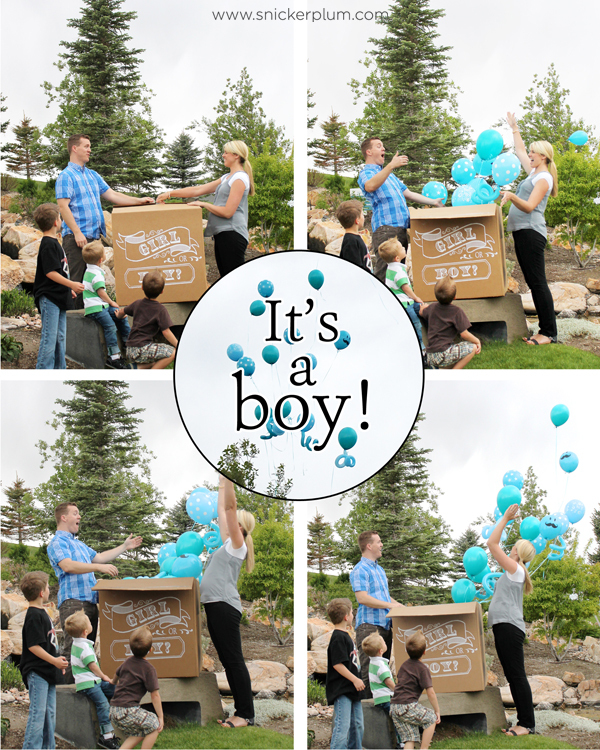 Many don't believe me, but me and my husband are thrilled to have another boy! The Party store left a few balloons in the bottom without helium in them, which was a great idea! I was so happy to have some left over to take home and the kids were thrilled as well. A little about some of the details....I went and got a 30"x30" box at the UPS Store. This was one of the only places where I could find a box large enough without any logos on the box. 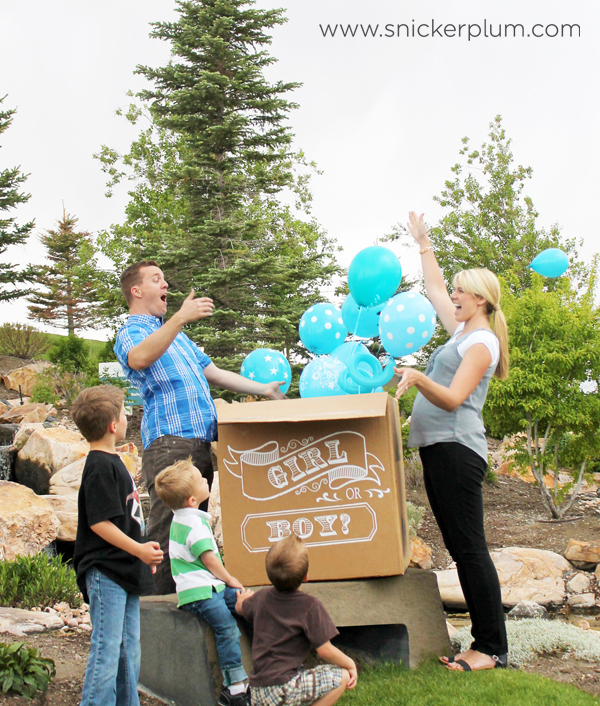 I then applied the Chalkboard Art Balloon Box Reveal Kit from Vineyard Vinyl. Which was super easy to install! 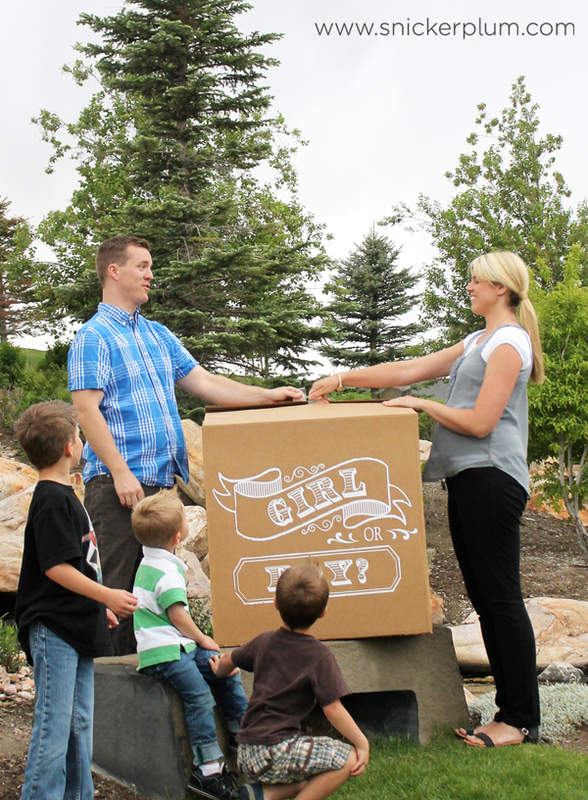 When my husband and I decided we wanted the gender to be a surprise, we came up with a plan. We had the Dr. put the gender results in a sealed envelope which we then gave to my sister. She went to the party store to have the correct color balloons put into the box so it would be a surprise to the both us and our guests! Partyland is who I have gone through to get the balloon box filled. They have done 3 reveals for me and they have been great to work with and do an amazing job! We put about 15-20 balloons in the box. You want to make sure you have enough balloons to have a good picture! A little tip: Keep the strings on the balloons. They float away a little more slowly, helping you to capture the perfect pictures! This party was amazing! It was so much fun to share that moment with all our loved ones and everyone got a great surprise! 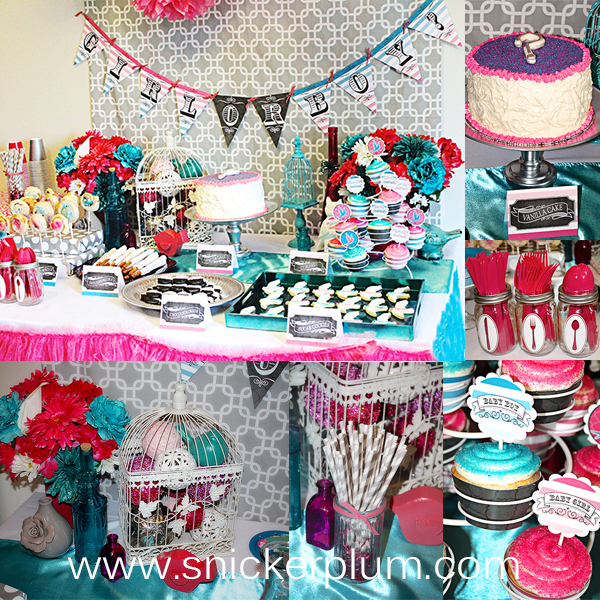 From the cupcake toppers and the banner to the delicious cake, it couldn't have been more fun! 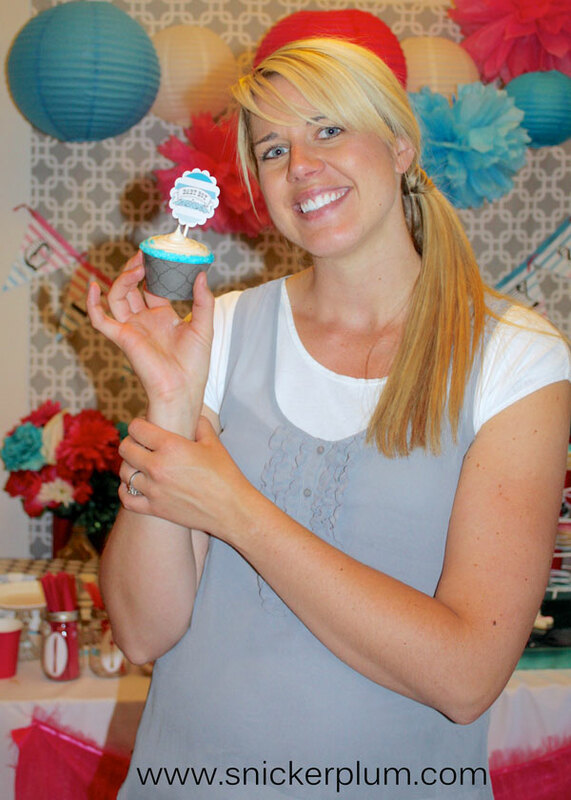 Check out some of my previous posts from other Gender Reveal Parties I have thrown. 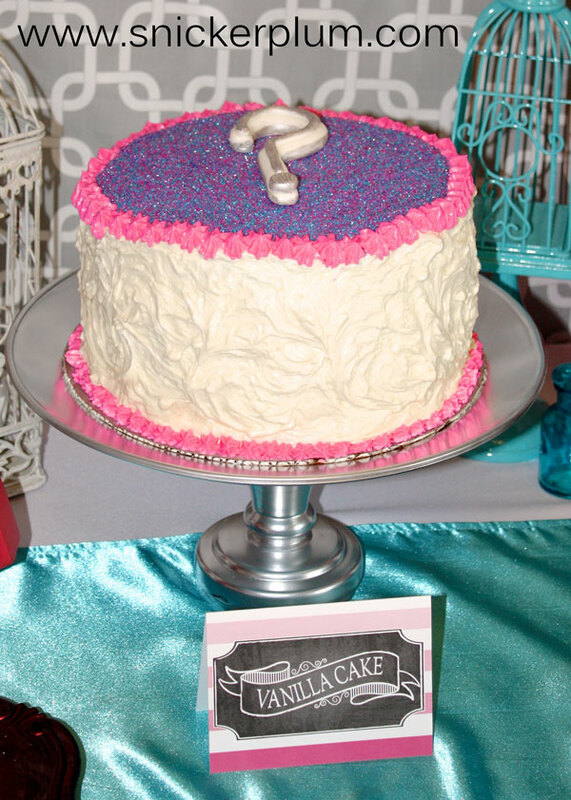 I wish I had a good picture of the cake sliced, but this is all I have. 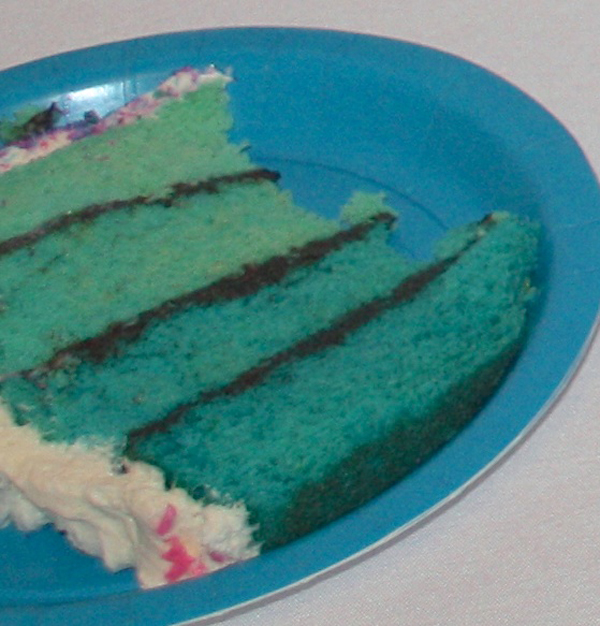 Angie made an amazing ombre blue cake to match the gender! What a great surprise that was! 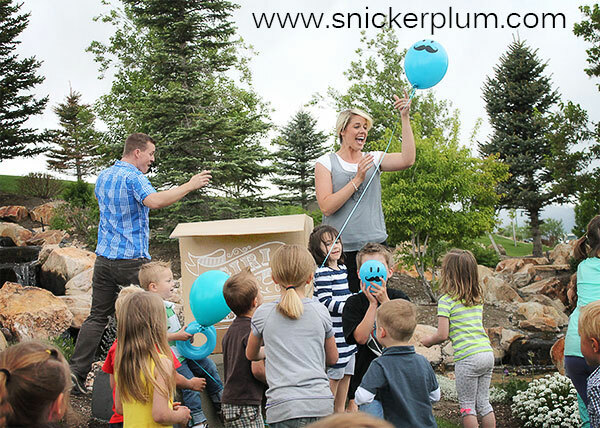 For more pictures and ideas on throwing your own Gender Reveal Party check out my previous post HERE with all the great party decorations and HERE for the beautiful Snickerplum Chalkboard Art- Gender Reveal Party Products. You can purchase the complete party package or you can get individual items by visitng my store! A HUGE thanks to my sister for throwing this party for us! 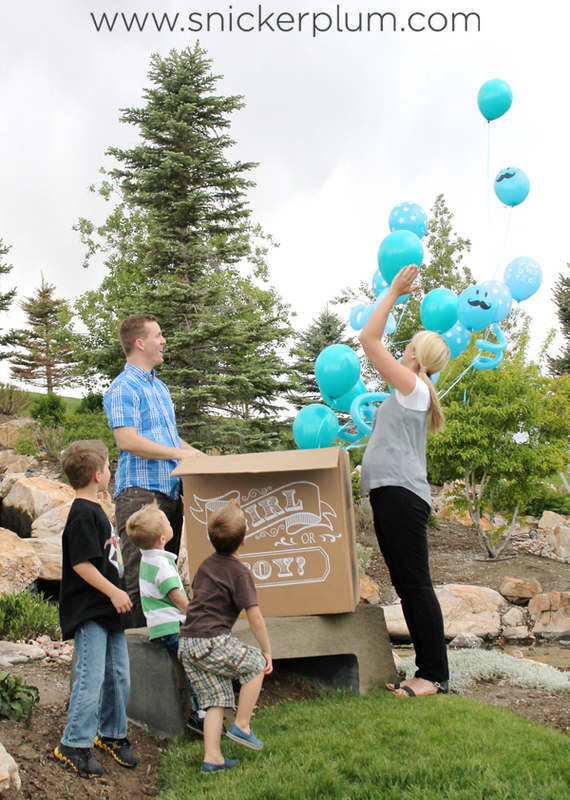 It was so fun to experience the excitement of the gender reveal as a family.